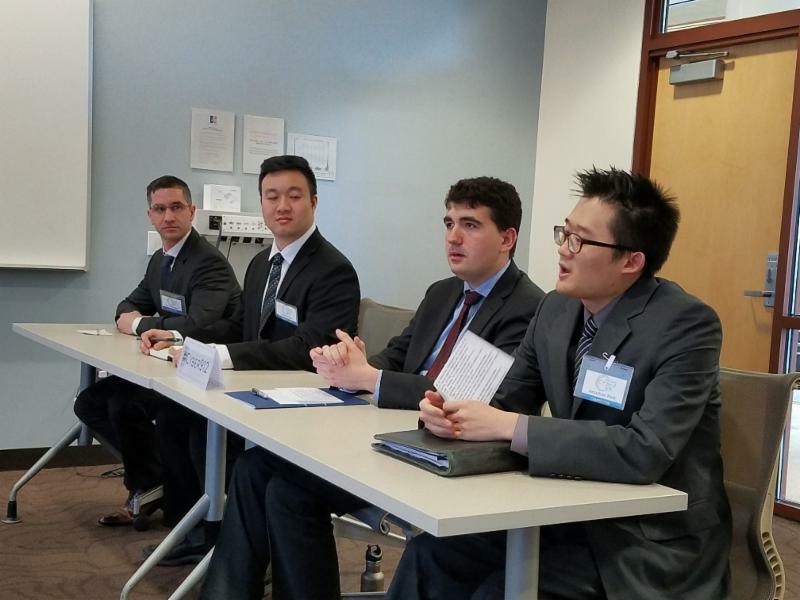 The Cyber 9/12 Student Challenge took place at the School of International Service, American University. 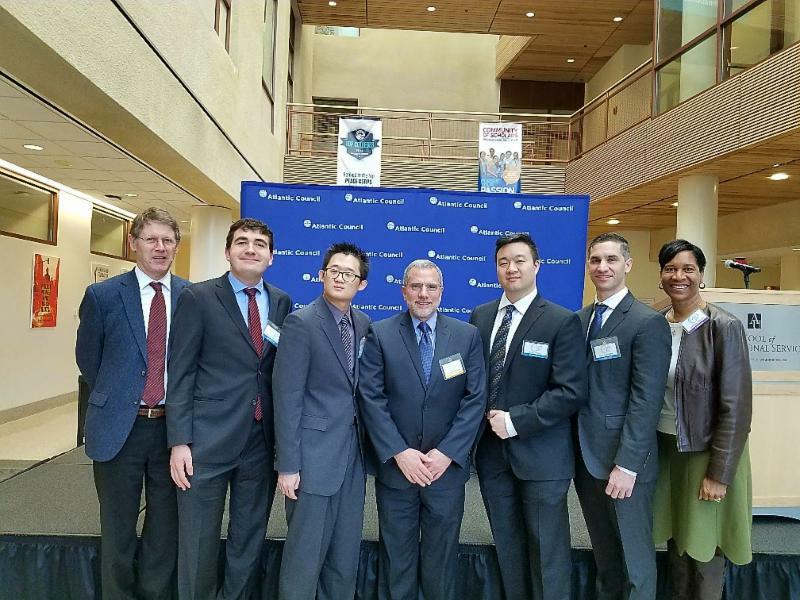 It is a one-of-a-kind competition designed to provide students across academic disciplines with a deeper understanding of the policy challenges associated with cyber crisis and conflict. 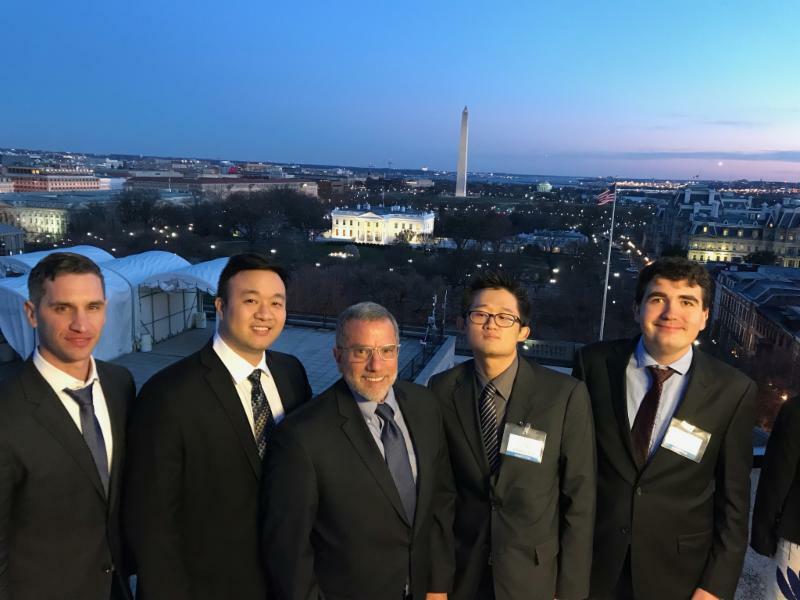 The I3P Cyber Fellows team: Jonathan Park, The George Washington University, Luan (Keith) Huy Pham, George Mason University; Eric Schlieber and Matthew Shonman, Johns Hopkins University; competed on behalf of the I3P. 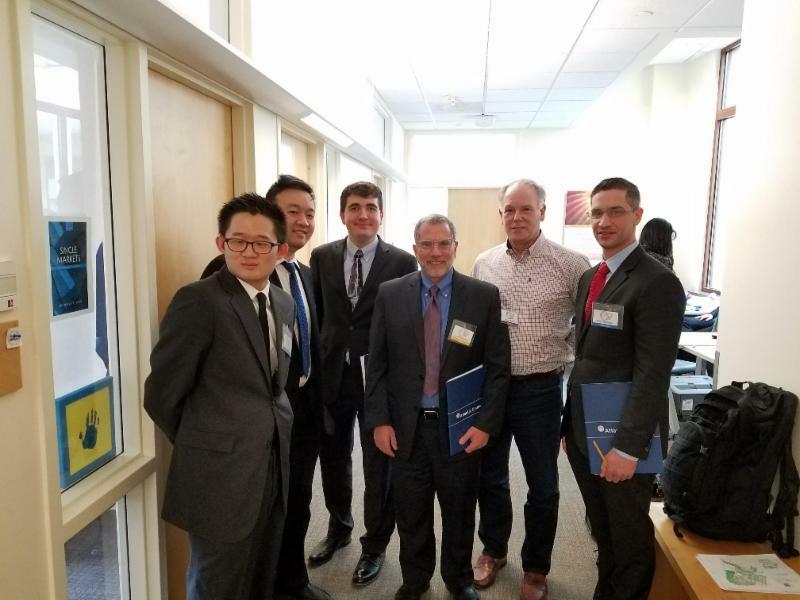 The I3P Cyber Fellows was one of 38 teams who competed; and one of 25 teams who made it to the semi-finals. I3P Cyber Fellows Advance to Semi-finals! I3P Cyber Fellows, coach and advisor collaborate after Intelligence Report II.